Jackie + Chris are such a sweet couple, an we loved getting to know them better during their recent engagement session at Sand Key Beach in Clearwater. These two are in the process of moving to Florida right now, and they are going to celebrate their wedding later this year at the amazing Sandpearl Resort in Clearwater Beach. 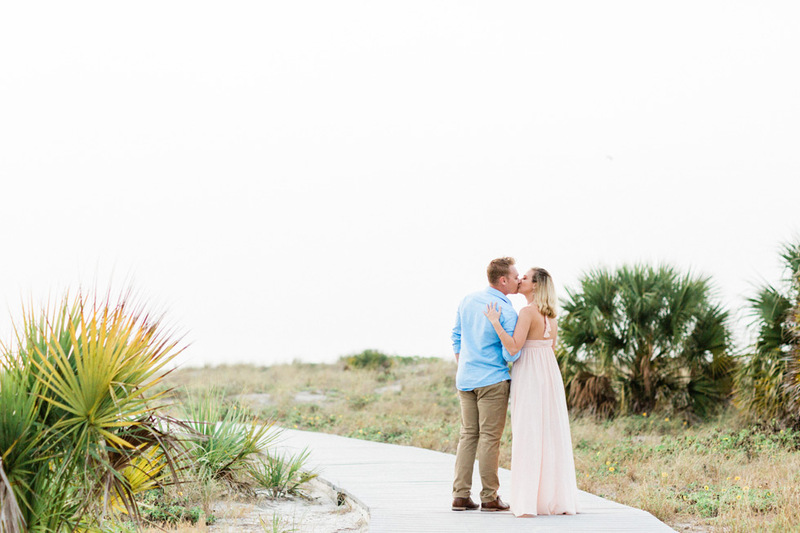 Our Master Photographer Amy was there to document their engagement session at Sand Key Park, and we love all the classic, beachy images that she captured of these two. We’re happy to share a few of our favorites here! We love these fun, candid pictures of Jackie + Chris laughing together near the water. They look so happy and natural together in all these images, and we love it! We love how happy and in love Jackie + Chris are in all the images from their engagement session – Jackie’s smile lights up each of these pictures! We love this gorgeous, romantic look that Jackie + Chris chose for their session. They look so effortless and laid back, and it looks absolutely great in their pictures! Congratulations on your engagement and upcoming wedding, Jackie + Chris! We can’t wait to celebrate with you on your wedding day later this year!